“This is my 14 month old daughter. 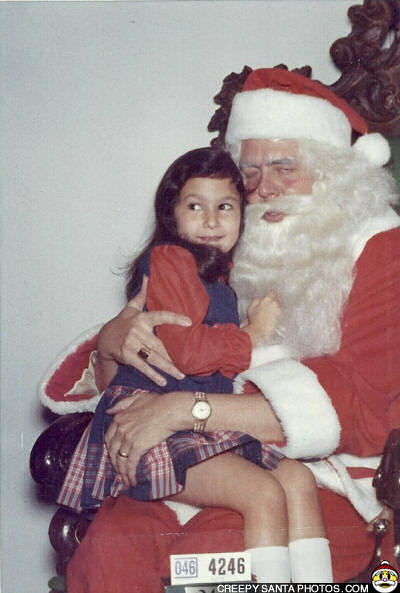 Notice that she is sitting on a chair and not his lap. 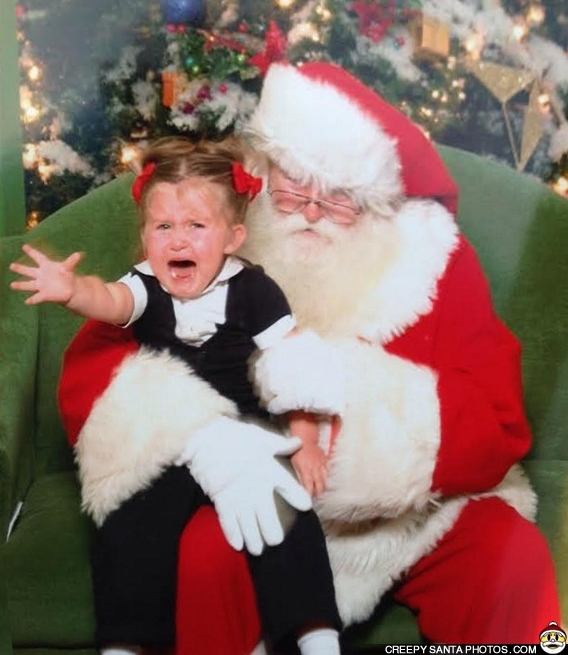 She wouldn’t go anywhere near that Santa! 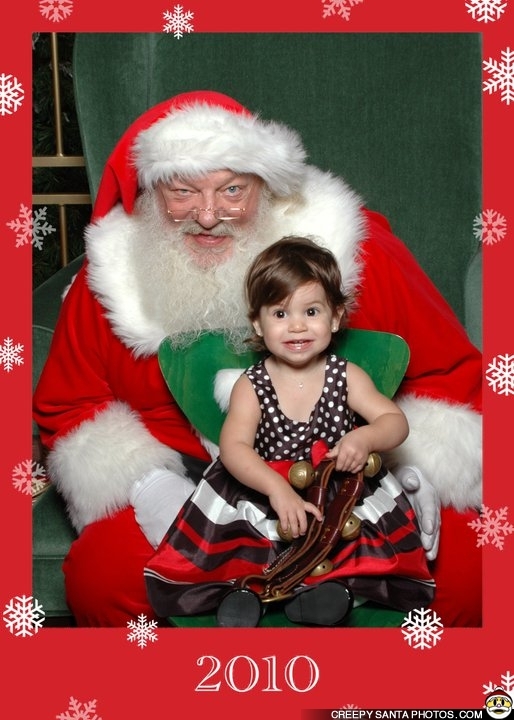 Once the photographer got her attention Santa moved in. I was really concerned that if she DID see him she would’ve went face first off that chair considering how terrified of him she was. Practically took the jaws of life to pry her off me. I beg to disagree there, Jessica. 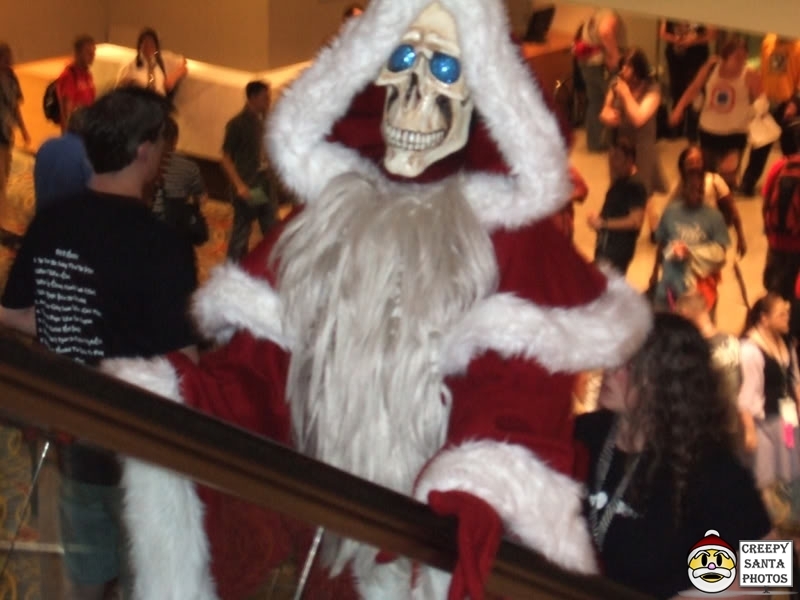 There’s plenty of good reason: SANTA IS CREEPY! Thanks for the great photo!!! 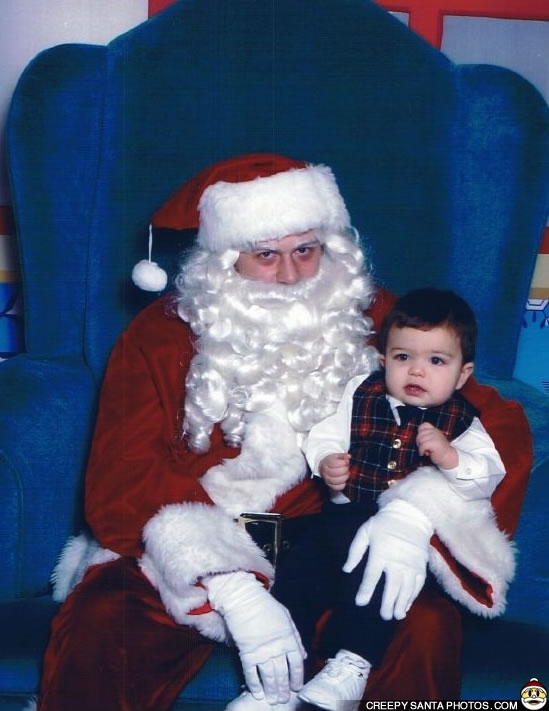 SANTA FEEDS KID TO HIS BIG BLUE CHAIR!